Our work with you begins by tuning into your needs, vision and decision-making rhythm, and getting to know each other and your property. From the start we’ll promise to be curious, responsive and actively involved, to bring a thoughtful, balanced rigor to your project’s concept, design and details, and to be mindful of your site’s history and context. Seasoned architecture professionals and enthusiasts, we offer you a full breadth of services to support new construction, the enhancement of existing buildings, and ongoing property improvements. In working with us through the sequence of design and construction phases you will find that we bring a clear framework for understanding the process, which supports decision-making, budgeting and scheduling. Our extensive record of streamlined, successful project approvals in communities all around the Bay should ease any concerns you may have. We initiate a strategy for your site that parallels each stage of the design process—handling any local complexities with patience, reason and a highly organized, collaborative approach that moves your project forward (…and a judicious dose of light-heartedness that keeps negotiations in perspective). We start off envisioning and information collecting, to articulate a qualitative, realistic project program that will achieve your goals. We’ll spend time at your project site to collect and analyze feasibility information, and perform a preliminary code and zoning analysis. And we’ll get organized for our work together, with tools including a preliminary project schedule. Conceptual design on your project begins, taking what we’ve heard from you, together with the site and code information, to begin translating ideas into spaces and forms. We’ll present options to you for discussion and decision, with supporting information. We’ll also begin to discuss the appropriate team and budget to accomplish your goals, by helping select a pre-construction contractor for a preliminary pricing exercise. We are our clients’ advocate, with a strong track record of guiding projects through the planning approvals process successfully, and the knowledge, instincts and relationships to help you choose the right team of consultants (structural engineer, landscape architect, etc.). It is often the case that a planning approvals process is required in the Bay Area, which is sometimes challenging. We do everything in our power to smooth the waters and diffuse stress for you in this phase. The project is now taking real form, as we develop your chosen design direction and guide you through a series of decisions, culminating with final design approval. The first step is to take the overall look of the design to the next level of refinement, after which we delve into detailing—apportioning the layout, and honing in on finish levels and material selections. With these decisions in place we coordinate the first round of work from your consultants. 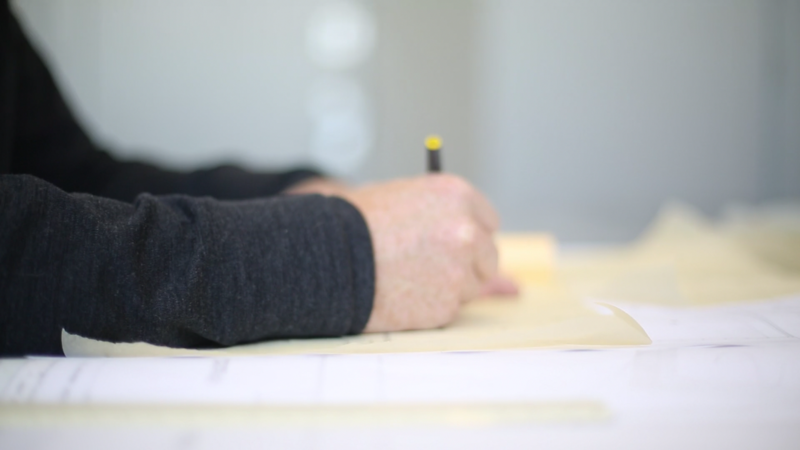 This is the ‘heads down’ phase, when we are working hard to create the technical drawings and documents for your Building Permit Application and from which your contractor will build, as well as coordinating the same from your consultants. After submitting for your building permit, we are on call to respond to any comments and clarification questions posed by agency officials, until your building permit is obtained. At this time your selected contractor reviews the approved design along with the site information and decisions you’ve made to date, and prepares their final construction budget and contract. We support this phase by ensuring that the team has a shared understanding of the design and project goals, and assist you in negotiating your final construction contract. Construction begins. We continue our role as your advocate from groundbreaking to move-in, and are on site regularly to co-host site meetings, act as your liaison with the contractor and consultants, oversee the project to make sure it’s being built per the design and specifications, and ensure that problems are addressed promptly and responsibly. Supporting the project as things progress, we help you understand the contractor’s requests for payment, assist the team with supplemental/clarification drawings as needed, and provide ongoing support Thankwith governing agencies. In addition to the services listed above, we provide project support and services ranging from master planning and feasibility studies to the design of custom furnishings.